The patterning and shading really makes it! It comes in the shade of your choice, of course. I love the blue ones best. 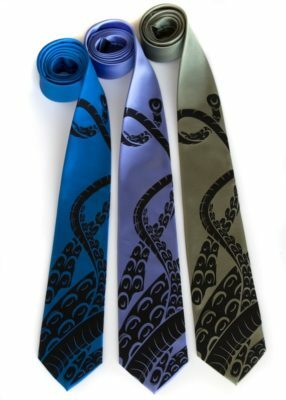 I hope you’ve enjoyed my tentacle-y romp this Sunday, next week will be a perfect time to start thinking about fall décor (yes, I can’t believe it’s that time, either). 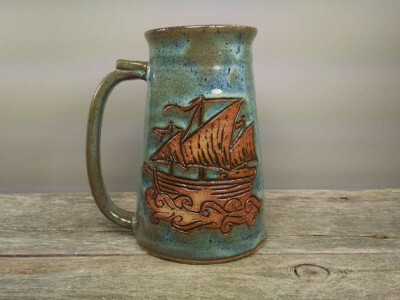 Continuing on our small business feature extravaganza, I have Claymore Ceramics for you. 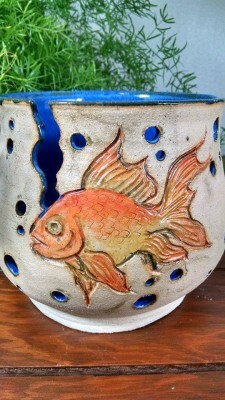 Sandra owns and operates this lovely pottery business making all kinds of varying array of housewares. 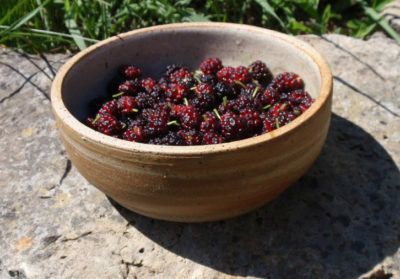 They are food safe, microwave and dishwasher safe as well. 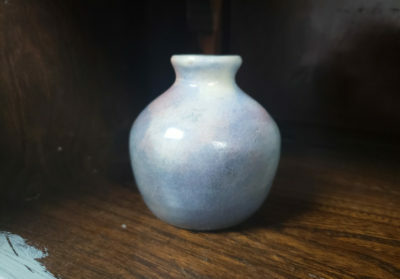 This patterning of white and blue is actually two separate clays that have been mixed together. I spoke with Sandra about this and was amazed that no extra glaze was put on top of some of her pieces. 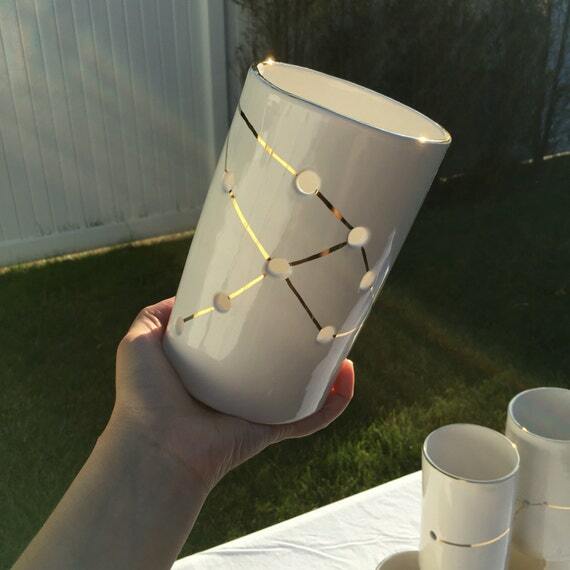 I love that not only are all the pieces functional, but they’re all one of a kind, due to the patterning of the clay. 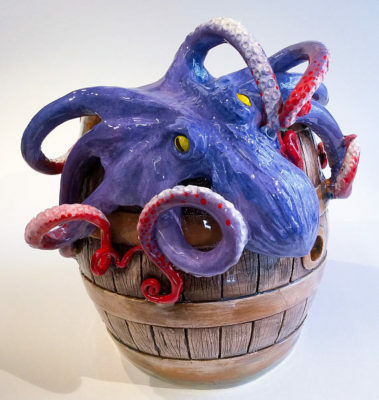 She also uses a mixture of different colours of clay to make her pieces, which gives you some absolutely beautiful pieces that look amazing both glazed with a colour and glazed without. 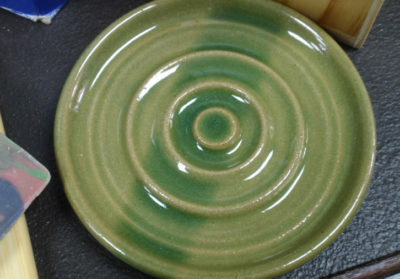 You can buy sets, or individual pieces and they’re all beautifully shaped and uniquely glazed. Just as beautiful in person as they are in the photos. 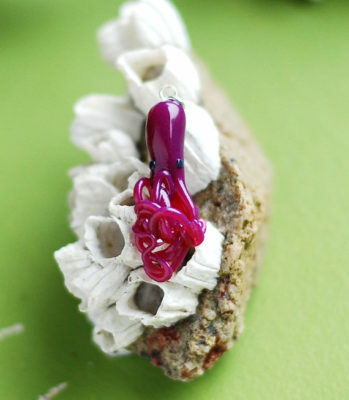 One of the interesting things about this vendor is that you can see lots of her work on Facebook and on her website. 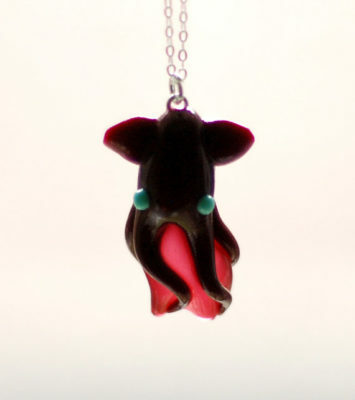 But she vends mostly at varying craft shows across the GTA, and the coolest part is that this is a handmade artisan that is selling on a larger vending site. I’m sure that you’ve heard of Wayfair? Well, she is selling through there as well. 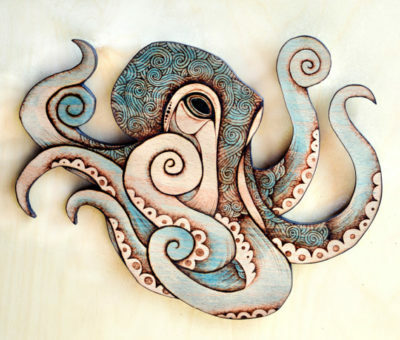 I absolutely love the idea that a hand made artisan can make that break forward. Well I hope you enjoyed looking at her work as much as I did. 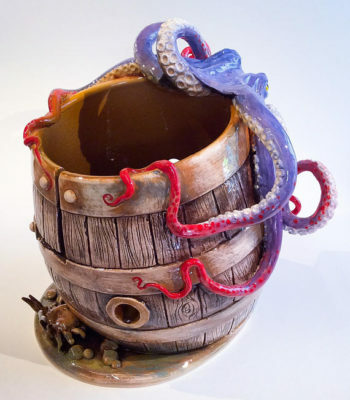 Be sure to check Claymore Ceramics at the show nearest you or…. you can order it online because that’s awesome too. 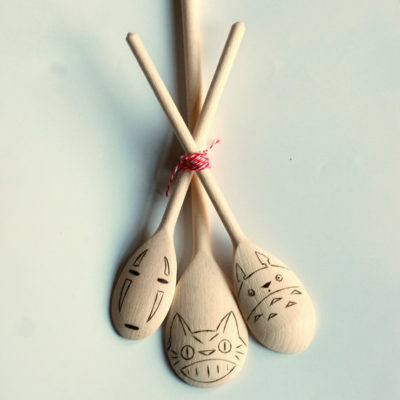 No Face, Catbus, and Totoro spoons for that geeky chef in your life! 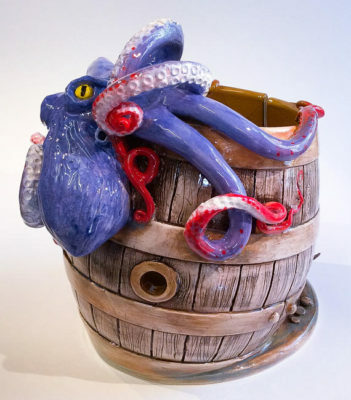 Joanne, the artist, burns the images into the very functional pieces to create these wonderful and adorable items. Some soot sprites to help scoop with the spatula? 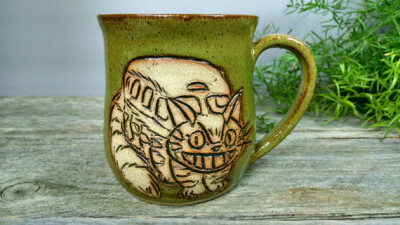 I think many of them would make fantastic gifts for any Ghibli enthusiast. 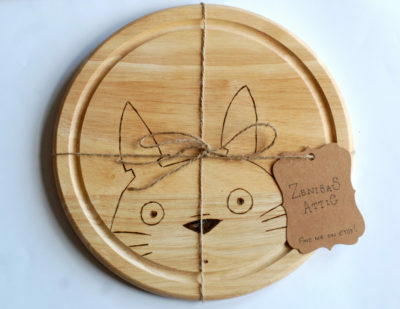 Like this Totoro cutting/cheese/serving board! 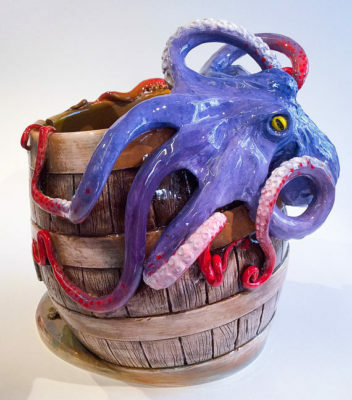 She not only creates cute kitchen utensils but also paints ceramic items to match! 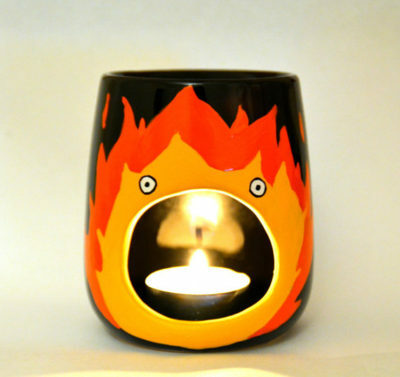 Maybe you shouldn’t have a Calcifer oil burner near your bacon, though. Since she makes her items to order and they are shipping from the UK, it may take a while to receive your lovely pieces but it looks like all are well worth it! 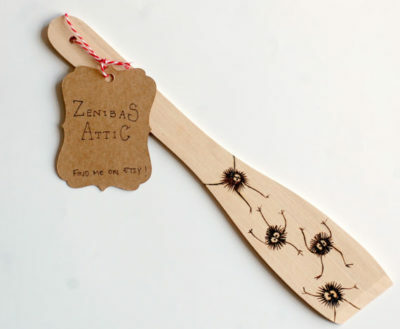 Zeniba’s Attic can be found on Etsy and Facebook. 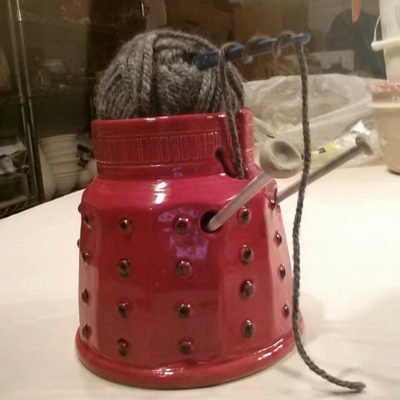 Have a wonderful week, everyone – I’m off to bake! I love space. I find it to be so beautiful and filled with so many questions and not being in space kinda bums me out sometimes. While these aren’t space, they’re still pretty awesome. 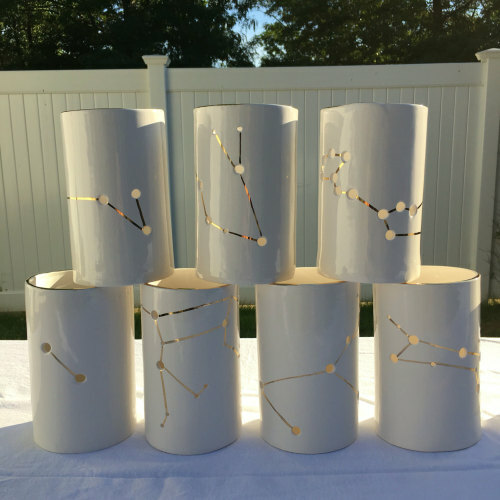 Made by etsy artist Modern Mud, these are hand made ceramic luminaries with holes and lines that imitate the major constellations. 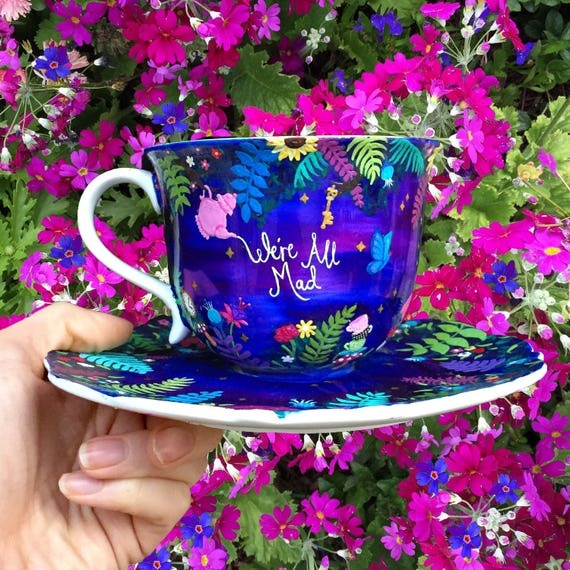 The design was originally a wedding commission, they turned out so lovely that Naomi Singer decided to make them available to the world. 🙂 My space needs certainly appreciate this decision. These candle holders mean business too. 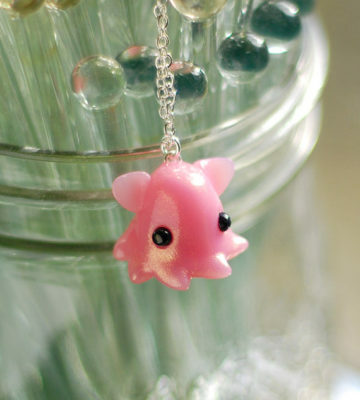 Measuring about 7″ tall, they can hold a small votive or even a pillar candle! I’m already picturing them paired with some of my favorite scented candles and the view is beautiful and smells great. 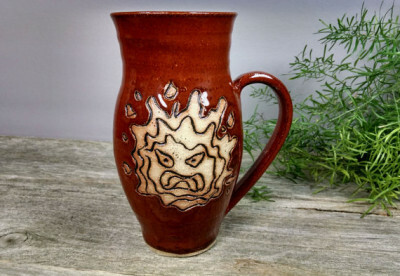 😉 She also makes all sorts of other delightful ceramic items such as ring dishes, vases and even personalized holiday ornaments. 😀 All of her work is in this same simple and clean style, so I highly recommend giving her gallery a look. 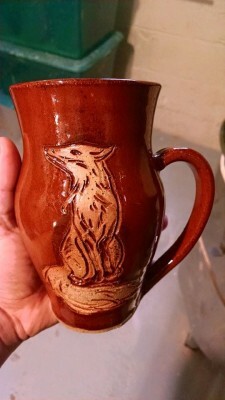 Craft Hacker member Dryad Tea is starting a new venture and needs your help! But she also makes great trivets for your spoons or tea bags. They both can be yours in her Kickstarter! As of now she is already at 32% of her goal. Take a look at all of the rewards and see if there is anything that interests you to help Rubiee reach her goal. This will shortly be my new Mondays mug. Ok, so they don’t just create amazing Miyazaki art. 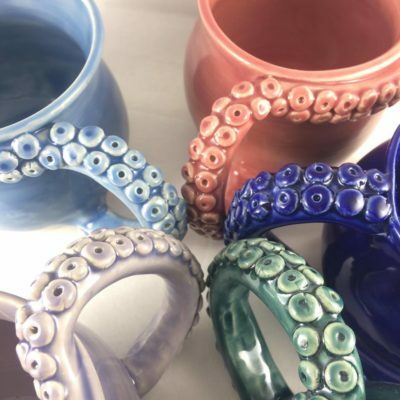 Their more traditional designs are also lovingly crafted and glazed in an array of colors. Not in the market for a mug? 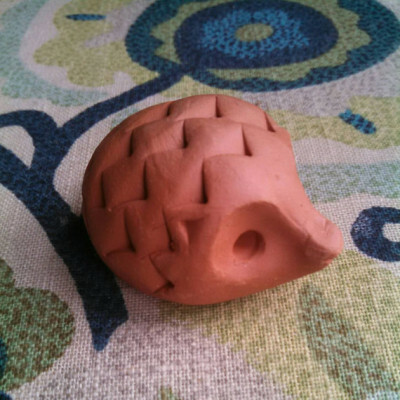 What about a goldfish yarn bowl for all of you that knit/crochet or a hedgehog brown sugar saver for the bakers? All of these items would definitely be proudly displayed and used on a regular basis in my home. The holidays are coming up and I highly encourage you to check out their Etsy store, Facebook page, or Instagram for some great gift ideas. This work is not to be missed! 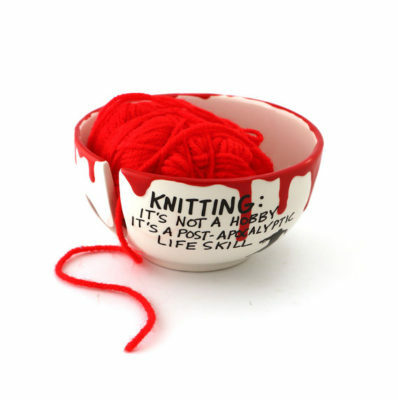 Enjoy your Sunday and stay crafty!